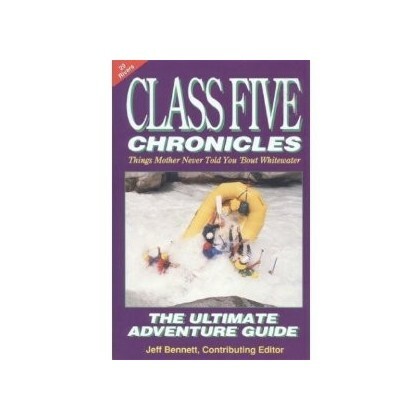 Jeff Bennett The ultimate adventure guide (story book) with the first section of tales of extreme decentes and misadventures and section two a guide to the rivers. If anyone can make a white-knuckled ride through a Class V rapid sound like a humerous adventure, it is Jeff Bennett. Drawing from trips down the classic hairball runs in North America, Bennett uses his great storytelling skill to get the reader laughing and enjoying these extreme adventures. Anyone who has guided, kayaked, or simply clung on for dear life on these rivers can relive the experience from a more "lighthearted" frame of reference. Part two of the book gives the reader more logistical information on flow levels, put ins, and take outs. Highly recommended for those interested in exploring the outer limits of navigable rivers.